Politico has Gary Johnson, the Libertarian Party candidate for president chances at around zero. I agree. But then that really isn't the point. Certainly not in my considered opinion anyway. In a time when Americans find much about both major party candidates distasteful, and in some cases outright unacceptable, the concept of a third alternative to the status qua can be intriguing. Indeed for some it offers the hope of real change. Rational change that has been proven effective in the state of New Mexico by an effective two tern Governor, Gary Johnson. Candidate Johnson, as reported by Politico is not interested in the protest vote. While this may play well with those who do not view themselves specifically as protestors the "protest" vote is a critical part of the equation if we are to turn this country on the track of reasonable and sustainable political and economic growth in the future. I certainly view myself as a "protest" vote. I protest both what the Republican party and the Democratic party have come to stand for. Neither party can be trusted to represent the interests of "the great" American middle class any longer. Nor can either be trusted to make decision that are in the best long range rational interests of the country and its people. 2012 is indeed a pivotal election in our countries history. Our future as a democratic republic as well as a nation with the economic engine for growth and prosperity may very well be determined by the results in November of this year. Given the major party candidates the prospect does not look encouraging regardless of who is found sitting in the Oval Office in January 2013. Sure, one can be safe, voting for the known quantity. Which means more than ever before choosing between the "lesser of two evils." A choice true American patriots must cringe at, and therefore take a bold and decisive step to vote principle and vote for liberty, rather than the eventual tyranny either major party will bring to the people. Mr. Johnson may not be looking for or seeking the "protest" vote, and that is fine. But I, and millions of patriots like me are certainly free to say hop aboard the liberty train and see where it takes you. 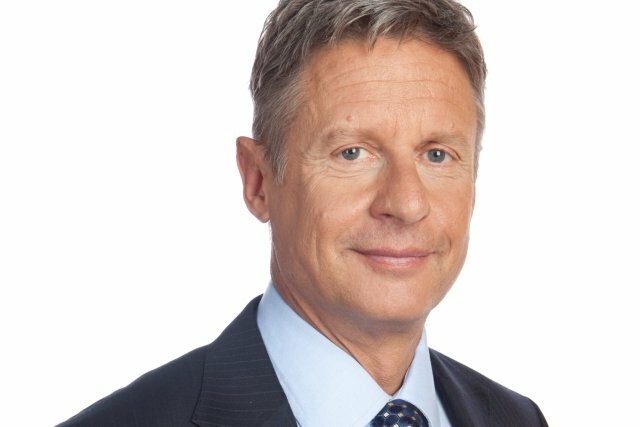 For all who are disenchanted with both major parties, for those who realize the elephant train and the donkey train will ultimately take you to the brink of the same cliff, for those who believe America can do better than either major party candidate is offering, then consider this... Gary Johnson may not win the next election, but if he generates enough support it is just possible real change will occur nonetheless. Most importantly, a strong showing will undoubtedly build the momentum for a viable, strong, and vibrant Libertarian Party. Oh, I almost forgot, be sure to read the article that inspired this post. Please be sure to check out all the links. I'm voting for Johnson. I live in Illinois, so for me it's a slam dunk decision because Obama will win in this liberal, criminal hellhole by double digits. It's one of the only advantages to living here. You don't have to wake up the day after the election in a "battleground" state feeling nauseous because you were forced to vote for Romney as the only method of dismissing the worst President in a long list of bad ones. So I'm happy I can vote for a guy like Johnson, a proven executive who not only had the right ideology but the common sense needed to get the job done when he was at bat. MA, although Obama's margin may not be has high as in Ill. Even if I lived in a battleground state I would vote principle and conscience. I am through with voting for the lesser of two evils. It always turns out badly regardless of which evil is voted for. That's three...MD is deep blue.